The banjo is emblematic of American country music, and it is at the core of other important musical movements, including jazz and ragtime. The instrument has been adopted by many cultures and has been ingrained into musical traditions as diverse as Mento music in the Caribbean and dance music in Ireland. The instrument has had a resurgence in pop music with such acts a Mumford and Sons and the Avett Brothers. 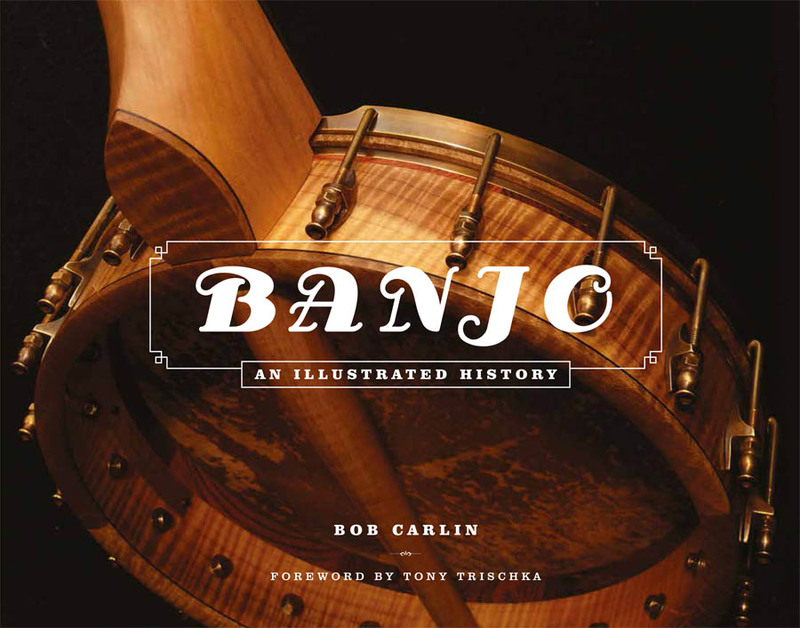 This book offers the first comprehensive, illustrated history of the banjo in its many forms. It traces the story of the instrument from its roots in West Africa to its birth in the Americas, through its coming of age in the Industrial Revolution and beyond. The book profiles the most important players and spotlights key luthiers and manufacturers. It features 100 “milestone instruments” with in-depth coverage, including model details and beautiful photos. It offers historical context surrounding the banjo through the ages, from its place in Victorian parlors and speakeasies through its role in the folk boom of the 1950s and 1960s to its place in the hands of songwriter John Hartford and comedian Steve Martin. Folk, jazz, bluegrass, country, and rock – the banjo has played an important part in all of these genres. Written by author, broadcaster, and acclaimed banjoist Bob Carlin, and lavishly illustrated throughout, this is a must-have for lovers of fretted instruments, aficionados of roots music, and music history buffs. Carlin (The Birth of the Banjo), a performer and columnist at numerous banjo publications, has put together another excellently researched tome about the banjo in the form of a coffee-table book. With a title that perfectly describes its purpose, the book’s photographs are beautifully printed on quality paper, making clear the natural beauty of the instruments. One hundred banjo family pieces are described, starting with the zither banjo, banjorine, and cello banjo transitioning to the more contemporary tenor banjo, banjo-mandolin, and banjo-ukulele. An exploration of the instrument and its performers are set through a time line of its roots in Africa, arrival in America, and finally its spread through Western culture, especially Australia. This work is exquisitely laid out in ten chapters. Among the progression of the history are inserts of banjoists in context to the culture and time of the given section. Carlin includes lesser-known but important banjoists and manufacturers who influenced the product’s transformation. VERDICT: This title is for anyone with an interest in banjo history regardless of prior musical knowledge and experience. Banjo: An Illustrated History is a major achievement and should be accorded a prominent place on every banjo player’s bookshelf or coffee table. It just may inspire an entire generation; those who already play banjo will want to learn more about it, and those who have never even though about the instrument may well feel the urge to take it up. This unassuming instrument arrived in the American South with West African slaves in the 1600s and lifted the spirits of countless plantation gatherings right up till the time that thoroughly uncivil war put an end to legal enslavement. The more recent path the banjo took to celebrity status in American country music is the fascinating story detailed in Banjo: An Illustrated History. All the important types and makes of the instrument are detailed, including the marvelous work being done by today’s craftsmen, but the stunningly rich photographs are what will steal hearts.